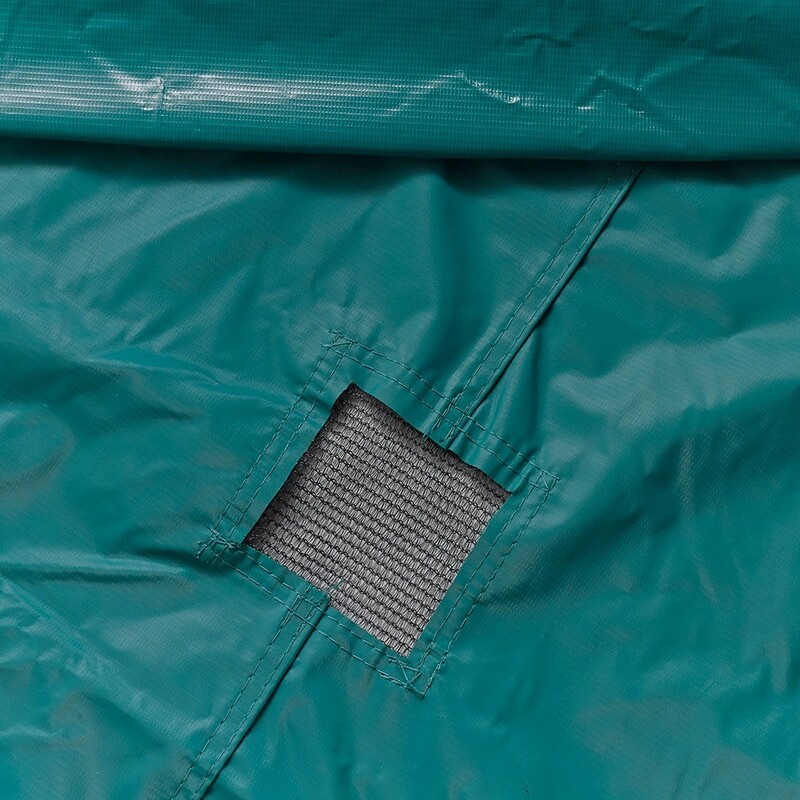 Cleanliness cover for your Ovalie 490 trampoline. Protective cover for oval Ovalie 4.90 m in diameter trampolines. 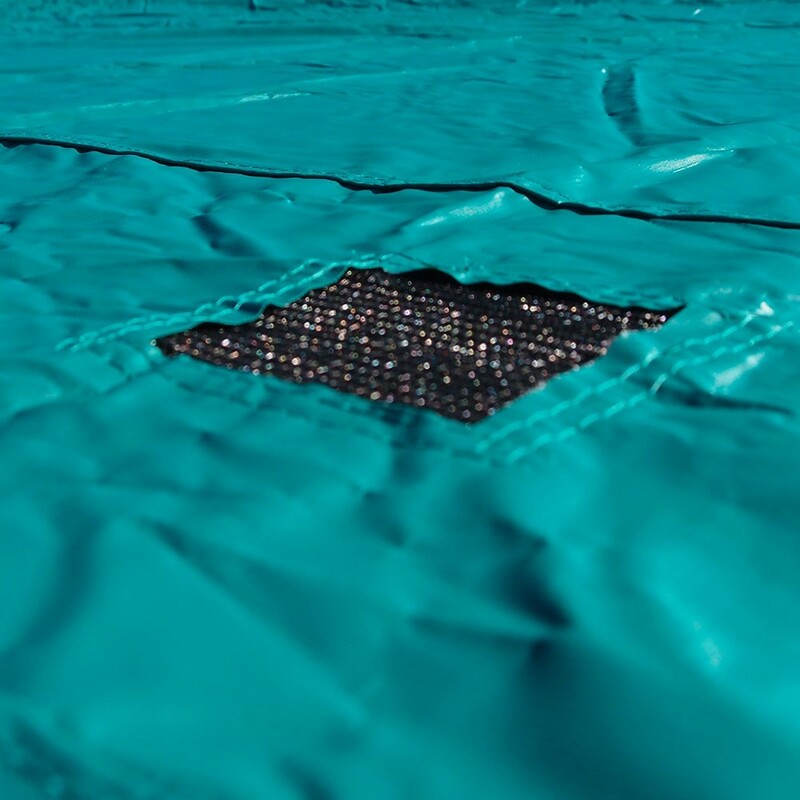 Our protection cover for the Ovalie 490 trampoline has been designed to efficiently and durably protect your trampoline throughout the year. It will keep your trampoline clean and protect it from the elements, keeping it in better condition for longer. 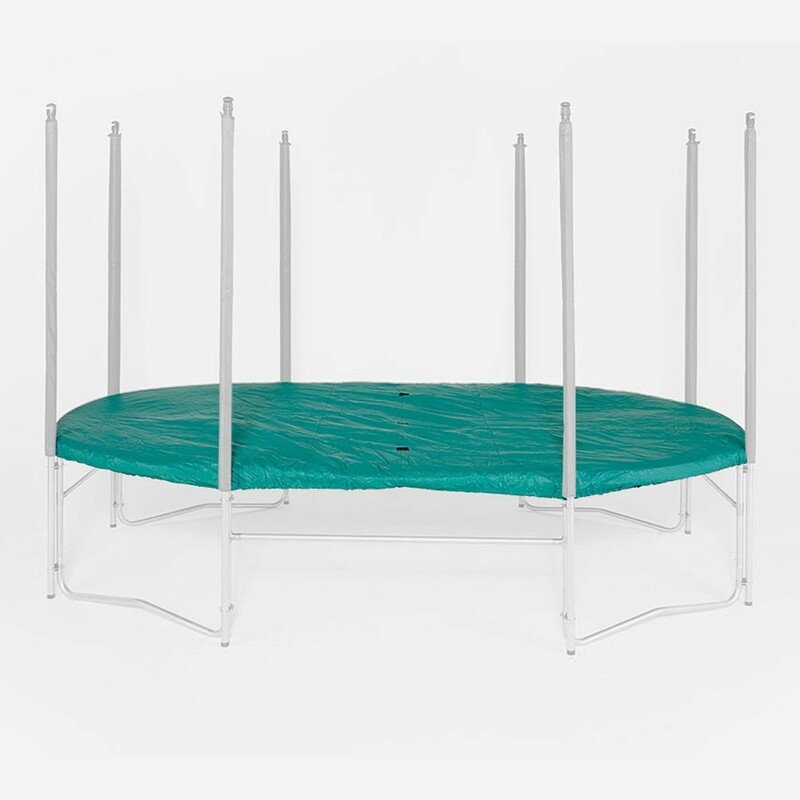 - The cover is perfectly adapted to the Ovalie 490 trampoline. 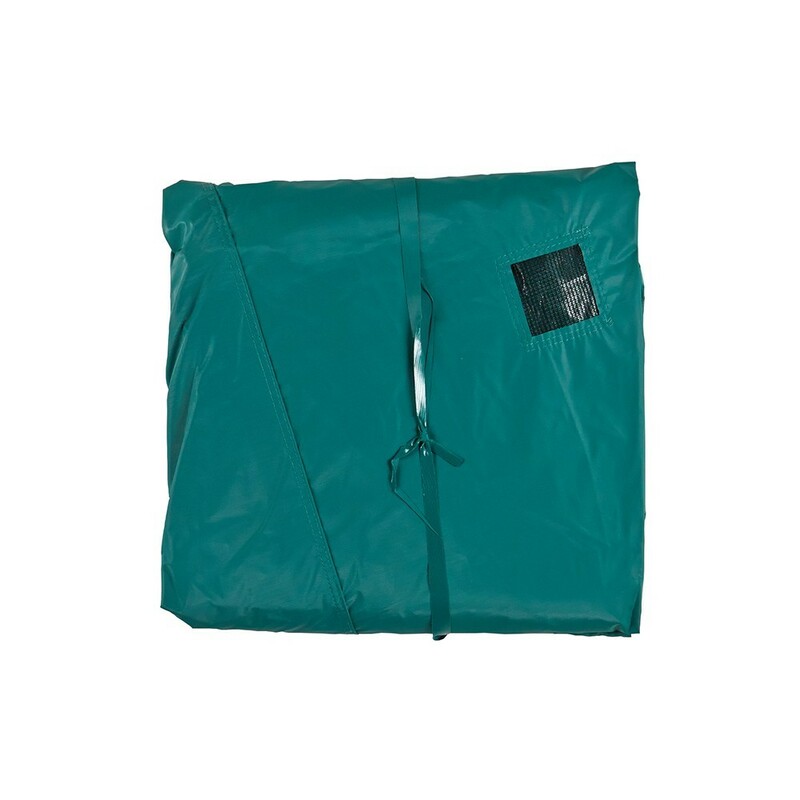 - It is made of a technical fabric coated in thick green PVC. The density used is the same as on lorry tarpaulins. This means that our cover is very resistant to wear and tear and waterproof. - The cover has 3 grids allowing water to evacuate from the top of the cover, as in the long run, water excess could severely damage the springs by stretching them. 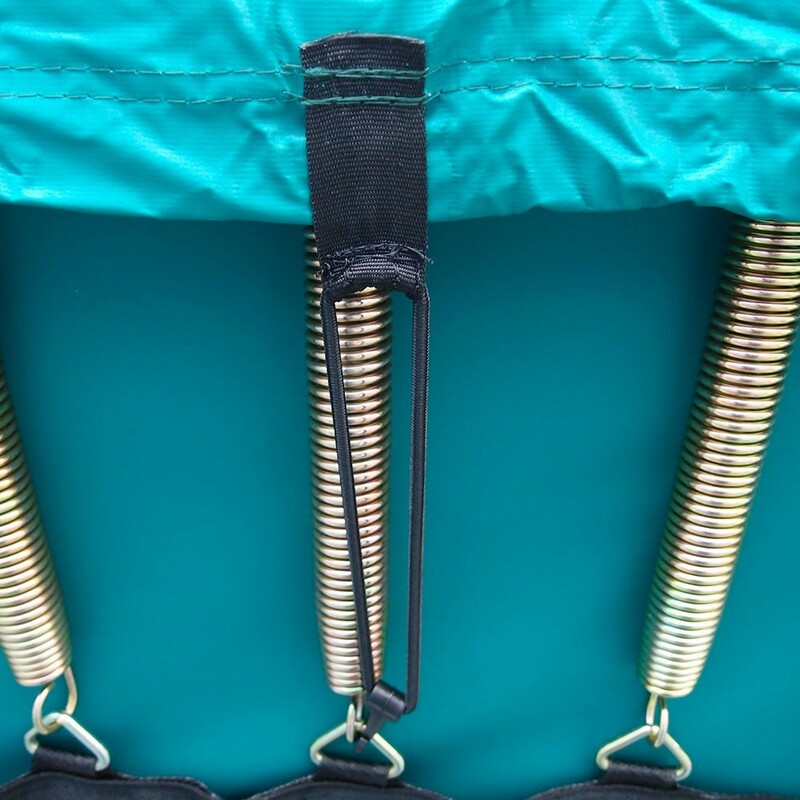 Three evacuation holes are therefore sewn into the cover, to protect the dynamics of your trampoline. - To make sure your trampoline is protected the cover is held in place using a thick elastic that goes around the perimeter of the cover as well as hooks, which are fixed under the frame pad, protecting your trampoline entirely: the jumping mat, the frame pad and the enclosure, if you have one. - In order to make sure it is perfectly integrated into your garden, the cover is green. 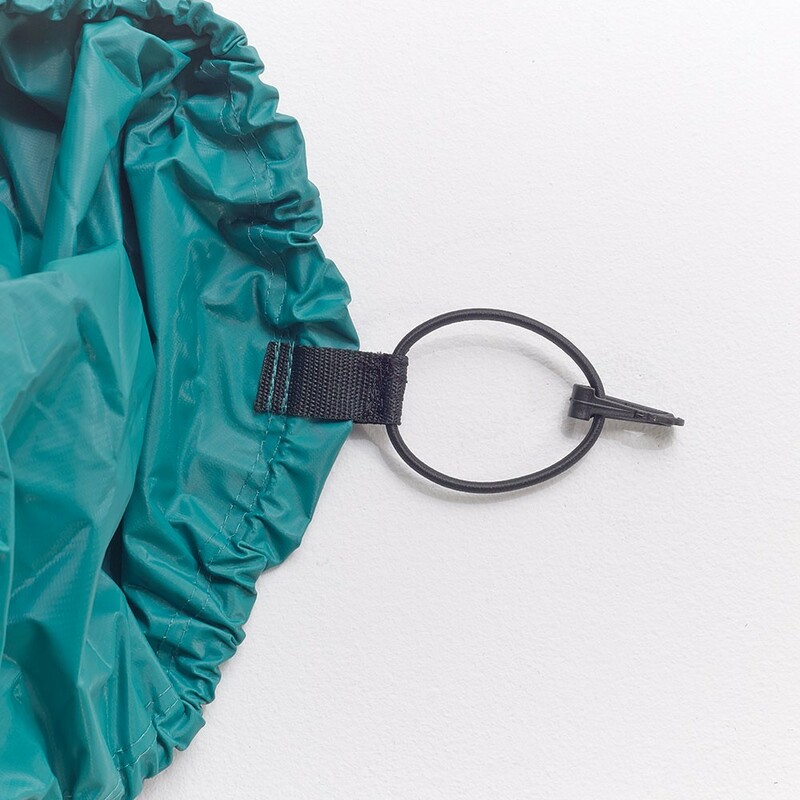 As it is easy to put on and take off, this cover is practical and useful all year round. Whether you are going on holiday for a few days, or you plan to cover it for a whole season, this protective cover will prevent any natural deterioration due to the passing of time.